Before going to bed, after an intense day: this the ideal time to pamper yourself with an inviting, delicious, genuinely relaxing break, allowing yourself to be enveloped by the soft foam of this formulation based on the effectiveness of many organic ingredients. Such as surface-activated Olive Oil, which cleanses and nourishes your skin at the same time. 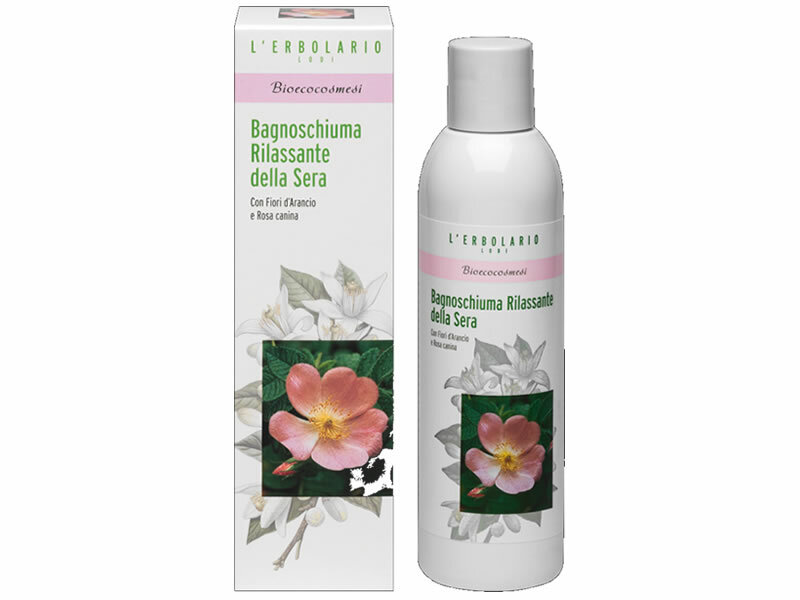 Also, the special replenishing properties of the refreshing Extracts of Orange Blossom and Chamomile, along with the antioxidant action of Rose Hip Seeds, Lemon Balm leaves and Lemon peel. Your skin will find it hard to wait for the evening to come, and this beneficial, relaxing ritual. Two or three spoonfuls dissolved in your bathwater or poured directly on your sponge are enough to create a soft, fluffy foam. Functional substances Surfactant from Olive Oil, Organic Extract of Orange Flowers, Organic Extract of Rose Hip, Organic Extract of Lemon Peel,Organic Extract of Chamomile flower heads, Organic Extract of Lemon Balm leaves, Perfumed note rich in essential oils of Sweet Orange, Bitter Orange, Neroli, Petitgrain, Coriander, Jasmine. Aqua, Lauryl Glucoside, Sodium Cocoyl Barley Amino Acids, Sodium Cocoyl Glutamate, Cocamidopropyl Betaine, Glycerin, Chamomilla recutita Flower Extract, Citrus aurantium dulcis Flower Extract*, Citrus medica limonum Peel Extract*, Rosa canina Fruit Extract*, Melissa officinalis Leaf Extract*, Citrus aurantium Leaf Oil*, Citrus sinensis Peel Oil*, Coriandrum sativum Oil*, Lonicera caprifolium Extract, Citric Acid, Coco-Glucoside, Glyceryl Oleate, Parfum, Geraniol, Isoeugenol, Limonene, Linalool, Sodium Chloride, Benzyl Alcohol, Potassium Sorbate, Sodium Benzoate.